Of all the tools on the market, Google Analytics is still, in most cases, the most effective. Our certified experts can help you implement and configure Google Analytics, and structure your account in a clear way that will stand the test of time. Google Analytics is a complete solution that allows you to extract all the most relevant data from your site and analyze it using a simple, versatile interface. And because it’s quick to implement, you can focus your efforts where they matter: interpreting the data. 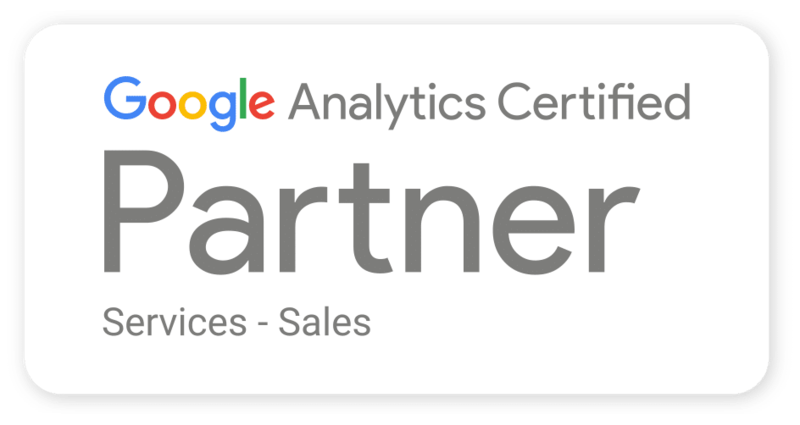 Adviso is certified by Google for the implementation, optimization and interpretation of data collected by Google Analytics. Because we understand the big picture of your online initiatives, we’re in a position to perfectly adapt Google Analytics to your business environment by defining performance indicators that are aligned with your business objectives. If you’re interested we can also help you generate reports and master Google Analytics through personalized training sessions, among other things. We can provide your development team with the instructions and support they’ll need to properly implement the mechanisms for measurement. Our implementation guidelines will be written in partnership with your team, so that any anticipated challenges are well identified and understood from the outset.